The prestigious historian John Womack, author of the renowned book Zapata and the Mexican Revolution, in this interview downplays the triumph of Andrés Manuel López Obrador on July 1, 2018 for not representing the “historic left”. With López Obrador, argues the emeritus professor at Harvard University, a left won that emerged from the PRI [Institutional Revolutionary Party, long the dominant party in Mexico] , “a mixture of idealistic elements and devout followers” of the charismatic leader. Womack states that the only left worthy of being called by that name is the Marxist left and the only ones who deserve the label are the Mexican communists who denounced the victory of López Obrador for guaranteeing that the “class dictatorship of the bourgeoisie will continue”. Two months ago, I interviewed John Womack, the prestigious professor emeritus at Harvard University and a renowned historian, to find out his opinion on the political moment Mexico was going through, the biggest election in its history. In Mexico there is no multi-party system, he told me, because all the parties are made in the image of the PRI, of which only the letterhead remains (SinEmbargo, 05/13/2018). In this second and final installment, the author of Zapata and the Mexican Revolution downplays the triumph of Andrés Manuel López Obrador for not representing the “historic left”. With López Obrador, he argues, a left won that emerged from the PRI, “a mixture of idealistic elements and devout followers” of the charismatic leader. According to Womack, the only left worthy of being called left is the Marxist left and the only ones who deserve the label are the Mexican communists who denounced the victory of López Obrador for guaranteeing that the “class dictatorship of the bourgeoisie will continue” (Communist Party of Mexico, Declaration of the Political Bureau, 04/07/2018). Since the publication of Zapata and the Mexican Revolution in 1968, his most emblematic work, Womack has devoted himself to researching the history of the labor movement and industry in Mexico, topics that he says he understands better when he analyzes them from the Marxist perspective. His plan is to publish four books, if life gives him time. He is 80 years old. Womack’s days are spent among the 3.5 million books and archives of the Widener Library, a worthy institution founded in 1915 to honor the memory of a Harvard student who died on the Titanic. Womack greeted me at the back door of the building, located in the heart of the university campus, at 3 o’clock in the afternoon of an unusually hot summer day in Cambridge. We walked to Café Pamplona, ​​a frugal student tavern where the professor, wearing the classic attire of the liberals of Massachusetts – palm hat and white pants, blue shirt – invited me a double coffee with ice that lasted for more than two hours. -What historical significance does the victory of López Obrador have? John Womack -The great historical significance of the election is the ruin of the other two parties. That is to say, that the PRI and the PAN have been destroyed and that the two machineries that dominated politics in the last 20 years are now in ruins. That has a great historical significance. It is not so much that López Obrador has won, but that neither of the two parties – PRI and PAN [PAN is the more conservative of the two major bourgeois parties in Mexico] – was able to face it. No sensible adult, who was not paid to or obliged to do so, would vote for the PAN or the PRI. People voted for the lesser evil. That represents a large part of the vote he got. Here in the US people voted for Hillary Clinton because she was better than Trump. Then the decision to vote for the lesser evil becomes the hope that the lesser evil will fulfill what was promised. People are hopeful, they are not people of the left, but people who hope that some solid and decent reforms will happen. It’s positive. The question is how much you can do and how soon. I think there will be disappointment. – Is it the end of the PRI? – I suppose that some PRIistas will survive and somebody will try to revive the party. But I do not know. I do not have that kind of vision to guess what can happen in the next few years. -The defeat suffered by the PRI has no precedent. I know. But you never know. People get fed up with the winners and suddenly, everyone can miraculously turn the PRI around. You can say: better the PRI than the disappointment of what we have. But I will not predict what can happen on one side or another in the long term. All in all, it seems unlikely that the PRI can be rebuilt to make a competitive presidential campaign. -Do you attribute Lopez Obrador’s victory to the people being fed up? – The people have been fed up since the day they could reason. I do not know anyone who has been happy with the status quo in Mexico, with the possible exception of Wall Street in the last 35 to 40 years. Outside of those elements, the others care little about political party labels. They voted for the PRD [Party of the Democratic Revolution, a social democratic party], or for the PRI, or PAN and it did not work. And they want a decent life like any petty bourgeois in the world. -It is a movement, it is not a party. You can not make a match in five years. Coalitions or alliances can be made, but not divided. Look at Emmanuel Macron in France, a more organized country. Macron had no party and the party he depends on is now divided. It has been very difficult for him and that France is a more institutionalized country than Mexico. Mexico, with Morena, is a more difficult case than France. – Will Morena be the new PRI? -I think that’s more or less what’s going to happen. López Obrador is PRI, he was born and was created as PRI. He was in his twenties during the six-year term of José López Portillo. 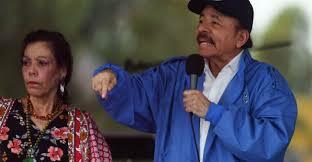 He made a political career in the PRI until 1988 and still remained PRI, only that the PRI broke into two parts. In the best of circumstances and with the best luck, López Obrador will be able to turn Morena into a kind of new PRI. If he meets at least some of his promises, I think he will start to be consistent with a new PRI. If he does not, those people are going to split into something else and Mexican politics will be even more incoherent. – Did the left win in Mexico? -Many people saw their leftist dreams realized in the triumph of López Obrador, but what they now call left is a left that, as such, is very poor. It is not the left of Valentín Campa of the 50s and 60s. Campa was a communist. That was the Mexican left. A Marxist left. What is López Obrador in relation to that? For me, there is no left outside of Marxism. The left is not left unless it is Marxist. Marxism is crucial. Capitalism is the central point. Either you are in favor of it or you are against it. No party in Mexico put forth a candidate that could be called anti-capitalist. No one spoke of socialism or said he himself was a socialist. The last one was the Unified Socialist Party of Mexico, in 1982, which was what remained of the communist party. -According to the criterion of the fiercest capitalists, López Obrador is a leftist. But that is simply an invention of journalism and politicians including the right. He has participated in that invention and politicians including the right. He has participated in that invention because he says that anyone who is in favor of common decency and integrity is leftist, because he wants to rob the rich to give to the poor. – Who do you consider left in Mexico? – Before the election, the sources of analysis that I found most sensible – in addition to The Wall Street Journal and The Financial Times – was a small party called the Communist Party of Mexico . According to my searches on the Internet, its members are veterans of the Mexican Communist Party, which disintegrated in 1981, as well as former members of the Popular Socialist Party. These three sources, quite dissimilar, anticipated that the election would be a rearrangement of capitalism in Mexico. in that invention because he says that anyone who is in favor of common decency and integrity is leftist, because he wants to rob the rich to give to the poor. -The press in general characterizes López Obrador as a leftist, some even call him a radical. -To New York and Monterrey, López Obrador may seem leftist, but his triumph is simply a reconfiguration of the very forces of capitalism. 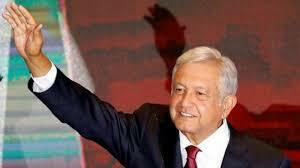 -López Obrador told the investment houses of Wall Street that there will be no expropriations. -That, for me, reveals the poverty of the Mexican left. Lopez Obrador’s so-called Left is a left that is very limited by reality, but also self-limited because it does not clearly demand a real change for the benefit of the people. If López Obrador nationalized banking and defended nationalization – not like Lopez Portillo in the 1980s who left them in charge of the banks – then the anti-capitalist left would have won. – How do you define, then, the winners? -As left that emerged from the PRI and other parties. Not a historic left. A mixture of idealistic elements and devout followers of López Obrador. People who want to push him to adopt certain socialist tendencies and others who want a Norway of the tropics. It’s a mix. People for whom López Obrador represents the best opportunity to make the reforms they consider necessary. Your definition of the left dates from the Cold War. – I agree. It’s because capitalism thinks it won the Cold War. It is true that the collapse of the USSR occurred, but capitalism does not govern China or Vietnam, or North Korea, however crazy some people think North Korea is. There are some non-capitalist countries in the world. I think it is a profound error, a miserable surrender, to say that capitalism is eternal. Or that it is like the atmosphere, something permanent. Let’s look at the United States. Capitalism has not resolved anything outside the abolition of slavery. – Given the history and the neighborhood, frankly it does not seem realistic to expect that a Marxist left will take power in Mexico. -That was in 1959. We are in 2018. -But Cuba is still there. – Good, but it is better than if there had not been a Communist Party of Cuba. If Cuba were not a socialist country, Cuba would be another Puerto Rico, only bigger, or another Haiti. But I think you’re right. To fight against capitalism in Mexico– and I do not mean the leaves and branches but the deep tree roots of capitalism — is to confront the United States. Not so much its government – which, besides being disgusting, is inept enough to make the world blow up – but the imperialism of the banks, of big capital. There are many naive and cynical people in the politics of the two countries. They want “change” in the United States or “transformation” in Mexico. Change for what? What kind of transformation? -It is said that López Obrador’s triumph is historic because the left took power in a peaceful way. -Wordiness. Column material. Here in US newsrooms they are known as “fillers”, meaningless text used to fill pages or spaces. Long words, such as transformation, are needed to reach the limit of a 600-word column. López Obrador is compared to Juárez, to Madero, to Cárdenas. Just it was very difficult to believe when it came out of the mouth of the PRI, it is hard to believe now that it comes from López Obrador’s mouth. It is pure PRIism. It is the PRI that I remember when I first started traveling to Mexico in the 60s. 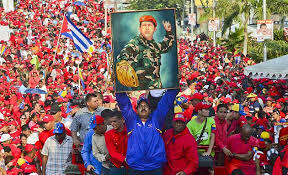 The PRIistas had the same rhetoric, the same oratory, the same demagogy for people who do not reflect, who do not think. 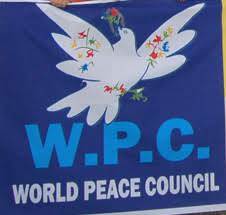 Everyone wants to make a peaceful transformation. Nobody has done it. It is not because they do not want it or do not have competent advisors. It is because they do not have the power to do so, nor the ideological or political clarity to say that they do not have them. If you want a true transformation, changes are needed and the first thing, in the end the most critical thing, is to regain control of the country’s finances and balance of payments. It is not realistic. Wall Street and Washington would never allow it. – They would not allow it, but that is the customary norm of Mexican politics. -I do not think it’s going to change. -Of course not. There is no one who recognizes that there can be no opportunity for change until that happens. They want transformation, but they are afraid to say that capitalism kills. That capitalism is permanent turbulence. It is the constant concentration of wealth and privileges. Capitalism will not improve the lives of 90 percent of the population. – What do you think of López Obrador’s thesis? -I thought it was mediocre. Since then he speaks of a fourth transformation. It is the simplification of an old historiography that was popular in the 70s. It comes from a very interesting historian of the National College, of the great ones of his time, whose name I do not remember. He had the idea that Mexico has had three major transformations: Independence, Juarez and the Liberals, and the great Revolution that killed Zapata. In some way these have been the great transformations. AMLO quotes Jesus Silva Herzog and people who were not significant in the 90’s. It is based on existing books and documents. I did not see a single reference to a research file in the footnotes and the bibliography. It is based on widely used and abused books. If he had written it for his high school history teacher, then it would have been impressive because of its length. But it was written by a 33-year-old man. Either he did not have time or he believed that he did not have to produce something better. When he finally finished the thesis, he was very busy doing politics. I guess I did not have much time to investigate. It is not worth reading unless it is a reference to what he believed and he evidently continues to believe in that fourth transformation. -What is your impression of López Obrador? -I think he’s sincere. You can harbor false illusions about Mexico, about what you can do, about what you have to tell people what you can do, and still be honest. I do not think he lies. -Not in person, but I’ve heard his voice in recent speeches. Something like Porfirio Muñoz Ledo revived. Less like Cuauhtémoc Cárdenas, who had no charisma. The voices on the left of the PRI were voiced every six years. PRIistas that represented the leftism of the PRI. López Obrador sounds exactly like one of them. -López Obrador won, to a large extent, promising that he would end corruption. Will he? What else was he going to say? I wanted to win the election. I ask: could the cleanest judges in Europe eradicate the Sicilian Mafia? No. If you want to build a building in the south of Naples, you can try to do it without the mafia, but it will collapse because there will be no access to good construction material. Without paying a commission to the Mafia, nothing can be done. – That’s how it works in Mexico? –Very similar. I do not know to what extent, but if you want fast and good results in Mexico, you have to pay extra to get it. – When did corruption start? -It did not start with Peña Nieto. There has always been systemic corruption. It comes from Independence, I would say from the Napoleonic Wars, when Mexicans were torn from their mother, the Spanish monarchy. The issue was the lack of political control on the part of the state. In the midst of wars and revolts and the collapse of the empire of the Spanish monarchy, Mexico declares its independence, but as a state it needs money. It asks for loans, but it does not have the capacity to collect or receive income for taxes. The bankers or the capitalists of London lend to it, but it does not pay and someone has to handle the situation. The usurers dominated everything until the War of the Reform [1857-61] But it did not end there. The great usurers died or returned to Switzerland, but their business remained. They were no longer called usurers but merchants of capital and mercantile bankers. They not only handled trade, but mining. -Has it been a constant? – Yes. Corruption has been institutionalized ever since. During the Mexican Revolution it fell apart. But after several years, Plutarco Elías Calles established, from US capital, JP Morgan, a type of institutionalized order in Mexico that eventually became the PRI. It worked until 1980 when the financial crash occurred, one that Mexico has never recovered from. The idea that it started with the PRI is pure ignorance. – Are you a Marxist? -Have you always been a Marxist? -Well, being a Marxist is being something and sometimes not knowing the meaning of that something. I would say that for almost 50 years, maybe before, Marxism has made a lot of sense to me, partly because of Cuba. For me Cuba was the clearest confrontation with what was wrong. Then came Vietnam. Those histories and those times left me breathless. Over the years I have managed to better understand Marxism and Vladimir Lenin. They make more and more sense. I am 80 years old. I do not think that at this point I suddenly say that I have lived half a century being wrong. El prestigiado historiador John Womack, autor del célebre libro “Zapata y la Revolución Mexicana”, subestima en esta entrevista el triunfo de Andrés Manuel López Obrador el pasado 1 de julio por no representar a la “izquierda histórica”. Con López Obrador, argumenta el también profesor emérito de la Universidad de Harvard, ganó una izquierda que surgió del PRI, “una mezcla de elementos idealistas y seguidores devotos” del carismático líder. Womack afirma que la única izquierda digna de llamarse así es la izquierda marxista y los únicos que merecen la etiqueta son los comunistas mexicanos que denunciaron la victoria de López Obrador por garantizar que la “dictadura de clase de la burguesía continuará”. Cambridge, Massachusetts, 28 de julio (SinEmbargo).– Hace dos meses, entrevisté a John Womack, el prestigiado profesor emérito de la Universidad de Harvard y reconocido historiador, para conocer su opinión sobre el momento político que vivía el país de cara a la elección más grande de su historia. En México no hay multipartidismo, me dijo, pues todos los partidos están hechos a imagen y semejanza del PRI, del que solamente queda el membrete (SinEmbargo, 13/05/2018). En esta segunda y última entrega, el autor de “Zapata y la Revolución Mexicana”, subestima el triunfo de Andrés Manuel López Obrador por no representar a la “izquierda histórica”. Con López Obrador, argumenta, ganó una izquierda que surgió del PRI, “una mezcla de elementos idealistas y seguidores devotos” del carismático líder. Según Womack, la única izquierda digna de llamarse así es la izquierda marxista y los únicos que merecen la etiqueta son los comunistas mexicanos que denunciaron la victoria de López Obrador por garantizar que la “dictadura de clase de la burguesía continuará” (Partido Comunista de México, Declaración del Buró Político, 04/07/2018). Paradójicamente, el mentor de Carlos Salinas de Gortari, el ex Presidente mexicano que provocó el levantamiento de los zapatistas en Chiapas y malbarató las paraestatales a los hombres más ricos del país, es seguidor de las teorías de Karl Marx. Su interpretación de la historia toma como referencia el pensamiento del coautor del “Manifiesto Comunista”. “Los historiadores marxistas —como me gusta considerarme— están interesados en lo que supongo podríamos llamar la lucha de clases… en la esencia del conflicto mismo”, explicó en entrevista (The Washington Post, 01/01/1983). Desde la publicación de “Zapata y el Revolución Mexicana” en 1968, su obra más emblemática, Womack se ha dedicado a investigar la historia del movimiento laboral y de la industria en México, temas que dice entender mejor cuando los analiza desde la perspectiva marxista. Su plan es publicar cuatro libros, si la vida le presta tiempo. Tiene 80 años. Atribuye el triunfo de López Obrador al hartazgo de la gente? –La gente ha estado harta desde el día en que pudo razonar. No conozco a nadie que haya estado contento con el status quo en México, con la excepción quizá de Wall Street en los últimos 35 a 40 años. Fuera de esa gente los otros son los pollos de ayer y los peces de hoy. Votaron por el PRD, o por el PRI, PAN y no funcionó. Y quieren una vida decente como cualquier pequeño burgués en el mundo. Mucha gente vio sus sueños izquierdistas realizados en el triunfo de López Obrador, pero lo que ahora llaman izquierda es una izquierda que, como tal, es muy pobre. No es la izquierda de Valentín Campa de los 50 y 60. Campa era comunista. Eso era la izquierda mexicana. Una izquierda marxista. ¿Qué es López Obrador en relación a eso? Para mi no hay izquierda fuera del marxismo. La izquierda no es izquierda a menos que sea marxista. El marxismo es crucial. El capitalismo es el punto central. O estás favor o estás en contra. Ningún partido en México postuló un candidato que pueda llamarse anticapitalista. Nadie habló de socialismo o se dijo socialista. El último fue el Partido Socialista Unificado de México, en 1982, que era lo que quedaba del partido comunista. ¿Cómo define, entonces, a los ganadores? –Como izquierda que surgió del PRI y de otros partidos. No una izquierda histórica. Una mezcla de elementos idealistas y seguidores devotos de López Obrador. Gente que quiere impulsarlo a adoptar ciertas tendencias medio socialistas y otros que quieren una Noruega del trópico. Es una mezcla. Gente para la que López Obrador representa la mejor oportunidad de hacer las reformas que consideran necesarias. “Según el criterio de los capitalistas más feroces, AMLO es izquierdista. Pero eso es sencillamente un invento del periodismo y de los políticos. Hasta la derecha ha participado en esa invención porque dice que cualquier persona que esté a favor de la decencia común y la integridad es izquierdista”, dice Womack. ECOS DE LA GUERRA FRÍA –Su definición de izquierda data de la Guerra Fría. –Palabrería. Material de columna. Aquí en las salas de redacción se les conoce como “fillers” [textos sin importancia que se usan para llenar páginas o espacios]. Se necesitan palabras largas, como transformación, para alcanzar el límite de una columna de 600 palabras. López Obrador se compara a Juárez, Madero, Cárdenas. Así como fue muy difícil creerlo cuando salía de la boca de los priistas, es difícil creerlo ahora que sale de la boca de López Obrador. Es priismo puro. Es el PRI que recuerdo cuando primero empecé a viajar a México en los 60. Los priistas tenían la misma retórica, la misma oratoria, la misma demagogia para la gente que no reflexiona. Que no piensa. Todo mundo quiere hacer una transformación pacífica. Nadie la ha hecho. No es porque no quieran o no tengan asesores competentes. Es porque no tienen el poder para hacerlo, ni la claridad ideológica o política para decir que no los tienen. Si se quiere una transformación verdadera, se necesitan cambios y el primero, finalmente el más critico, es recuperar el control de las finanzas y de la balanza de pagos del país. –Me pareció mediocre. Desde entonces habla de una cuarta transformación. Es la simplificación de una antigua historiografía que fue popular en los 70. Proviene de un historiador muy interesante del Colegio Nacional, de los grandes de su época, cuyo nombre no recuerdo. Tenía la idea de que México ha tenido tres grandes transformaciones: la Independencia, Juárez y los liberales, y la gran Revolución que mató a Zapata. De alguna manera esas han sido las grandes transformaciones. AMLO cita a Jesús Silva Herzog y gente que ya en los 90 no era significativa. Se basa en libros y documentos existentes. No vi una sola referencia a una ficha de investigación en los pies de páginas y la bibliografía. Se basa en libros muy usados y abusados. Si la hubiera escrito para su maestro de historia de secundaria, entonces hubiera sido impresionante por su extensión. Pero la escribió un hombre de 33 años. O no tuvo tiempo o creyó que no tenía que producir algo mejor. Cuando finalmente terminó la tesis, estaba muy ocupado haciendo política. Supongo que no tenía mucho tiempo para investigar. No vale la pena leerla a no ser como referencia de lo que creía y evidentemente sigue creyendo sobre esa cuarta transformación. Womack dice que AMLO es como un Porfirio Muñoz Ledo revivido. “Menos como Cuauhtémoc Cárdenas, quien no tenía carisma. En cada sexenio se expresaban las voces de la izquierda del PRI. Priistas que representaban el izquierdismo del PRI. López Obrador suena exactamente como uno de ellos”. Foto: Saúl López, Cuartoscuro.